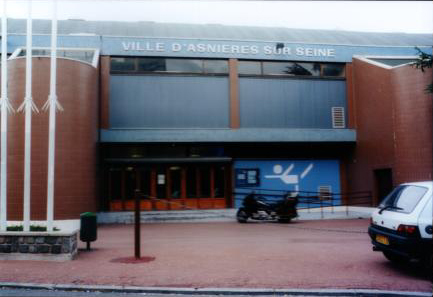 Indoors - Located just to the northwest of Paris city limits, in the town of Asnieres-sur-Seine. 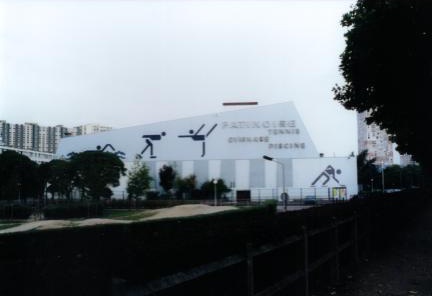 The rink is part of a sports complex which includes a pool and tennis courts. The ice is hard and well maintained. There are large murals painted on the inside walls of the building. They played modern music and there were disco lights above the ice to add to the atmosphere. Our first attempt to skate there was thwarted because they were closed for no apparent reason. We had better luck on our second try. We went to a weekday afternoon session which had a lot of school children skating. 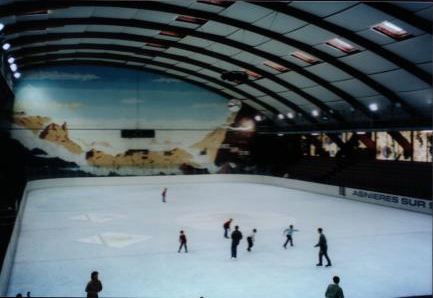 Half of the rink was roped off for the school children who were taking lessons. (Lucky kids - why didn't we get school trips like this?) The other half of the rink was taken over by future hockey players. Definitely a different atmosphere than the rink in St Ouen. 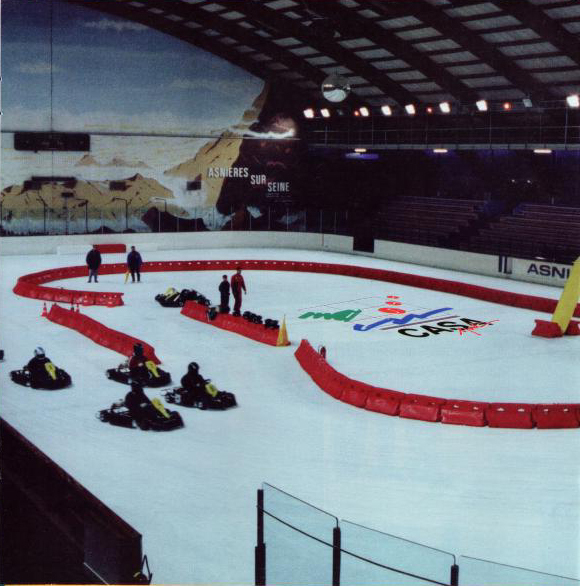 The most interesting thing about this rink is that they have go-cart races on the ice on the last Tuesday of each month! 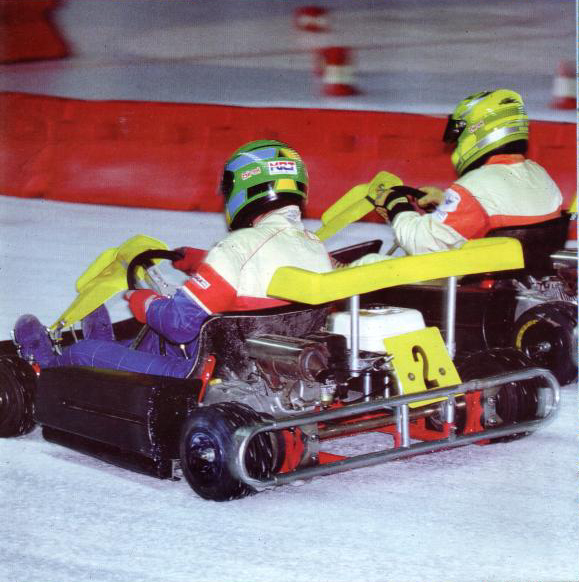 That sounds like fun but it must cause some terrible ruts. Take the metro line 13 to the last stop, Gabriel Peri/Asnieres-Gennevilliers. Then you can take Bus 236 four stops or walk about ten minutes to the rink. There is a skating school if you want lessons. Skate rental (hockey and figure) is also available. There are vending machines and a lounge/bar for drinks and snacks. There aren't any lockers but there is a coat check which is mandatory.